We intend to make a difference to our community and world for good. We do this through our beautiful worship and genuine care for all people (loving God and our neighbour). We are a community of faith in the wonderfully rich Anglican heritage. Come and be part of this. Play Group, Parish Pantry, and Community Hubs. Wherever you are on your spiritual journey, we would be delighted to welcome you as a parishioner or have you join us at one of our regular services or parish activities. We acknowledge and pay respect to the traditional owners of the land on which we meet – (the Wangal people of the Eora Nation). Everlasting God, as Jesus appeared in the locked room to show his disciples the beginning of a new world, draw us closer so that we too may know and understand the depth of his love for us and hear us as we bring our prayers for the world and the church before your throne of grace. Gracious God look down with love upon your Church in this place. Guide us as we seek to engage with our community and grow in faith and love. Creator God, we bring before you the needs of our world, praying for peace, reconciliation and healing in places of war, hatred and terrorism. We pray that the nations of this world may be united and subject to your rule of love. Loving God, we pray for Christians who are worshipping you in the face of fear or repression and particularly for people affected by the terrible events in Sri Lanka on Easter Day. We pray for those who have lost loved ones, those who are injured and those who are shattered by their experiences. We also pray for people of faith, Christian and Muslim, that their lives will not be torn apart by reprisals and revenge in the days and weeks ahead. Loving God, your Son remained with his disciples after his resurrection, teaching them to love all their neighbours as themselves. We pray for our family, friends and neighbours with whom we interact day by day but also for those who live on the edges of our society, struggling to survive each day. We particularly remember farming families and pray for further seasonal rain to refresh the parched land. Loving God, surround all who mourn this day with your continuing compassion. When grief seems overwhelming, take them one step at a time along the journey of death and resurrection. We pray for all who are sick and for all who are in hospital that they may be aware that the Lord is with them in their troubles. Make us faithful in prayer for them and guide us into practical ways to support and comfort them. Merciful God we pray that those who have died may one day share in the promise of new life won for us all by the resurrection of your Son Jesus Christ and his triumph over death and the grave. We remember the recently departed and those who have their year's at this time. May we with them and all the saints be brought to a joyful resurrection and the joy of your eternal kingdom. Almighty God you have promised to hear our prayers, grant that what we have asked in faith, we may by your grace receive through Jesus Christ our Lord. Father James was born and raised in rural Western Australia. He obtained a degree in education from the WA College of Advanced Education and taught music at both primary and secondary school levels. In 1984 he began to study theology at Perth Theological Hall and later at Murdoch University. He was ordained in 1987. He holds a PhD from the University of Tasmania. Father James' interests outside ministry include reading, bush walking and music. Fr James is married to Dr Helen Collins and Helen and James were married in St George's Cathedral, Perth, 30 years ago. After ordination in 1987, James worked full-time in ministry, having parishes in Western Australia and, since 2001, in Tasmania. He has also had a university chaplaincy position. Prior to his induction as Rector of St Paul's on 9 February 2011, Fr James was Rector of the Parish of Moonah in Hobart where he had responsibility for two churches, St Mary's and St Anne's. In addition, Fr James was an Enabler in the parishes of New Norfolk, Break O'Day, Channel/Cygnet, Hamilton and Brighton. This role involved training parishioners to take responsibility for all aspects of parish life and to reach out to the local community with the Gospel message and with practical ministry. Thou art the Journey and the journey's End. I believe that God is love, and that where there is love there is God. God has been present with me, sustaining me throughout my life as an ever present Presence. Sometimes God is revealed in quietness and peace, sometimes through hardship and disquiet; but most often through the love of those who care. As God is the God of love, and life, and of being, we are called to participate in and share God's love, life, and being, so that others may love, live, and be who and what God intends them to be (that is, to grow into the fullness of life which God has for all). This call is to participate in and share God's love, life and being may, at tmes, involve a struggle to work for justice and peace, and involves as active engagement with our community/society. It is wonderful to be part of a Parish which is seriously seeking to engage in this mission to, for, and with our community/society. BD, BEd(Mus), Hon FGCM, FTCL, LRAM, ARCO, ARCM, ARSCM, DipAngOrd,. After a career in church music in England and Canada, and then as organist/director of music at St Andrew’s Cathedral in Sydney for more than two decades, Michael graduated as a Bachelor of Divinity from the Melbourne College of Divinity and was ordained in 2005 for the diocese of Bathurst. 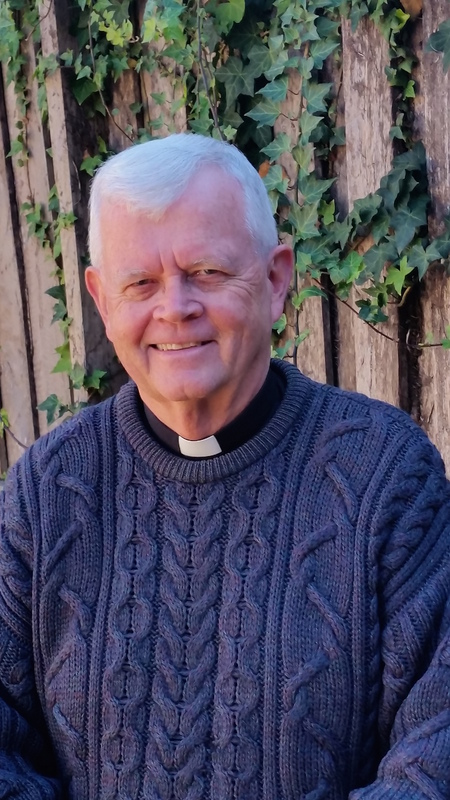 Here he served for ten years as Precentor, Assistant Priest and Director of Music at All Saints Cathedral, Bathurst. In addition he was, and remains a Priest Companion of the Company of the Good Shepherd, which provides ministry to the more remote parts of the Central West of NSW. Michael is married to Antonia who sings in the choir of St Paul’s and they have three adult children, Meghan, Jeremy and Amélie who currently reside on three different continents. So far they have three grand-daughters, twins Willow and Olive, and Piper, who live in Chicago USA. Fr Jim has served faithfully in many parishes, including both rural and urban settings, and as well as assisting at St Paul's Fr Jim often helps in other parishes as a locum. Rosemary King is a retired high school teacher. 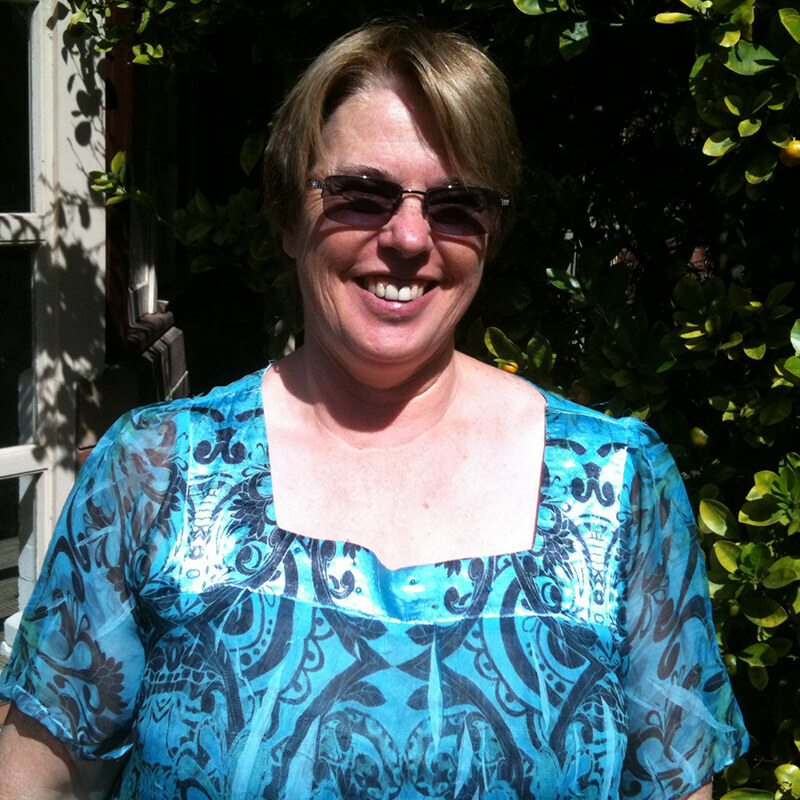 Having trained as a Physical Education teacher Rosemary soon added History and Geography to her teaching subjects. Then after graduating from Melbourne College of Divinity with a Bachelor of Divinity she went on to teach Religion and Studies of Religion in both Catholic and Independent Schools. Alongside Studies of Religion she developed a passion for Service Learning. With the three years spent at St John's Theological college in Morpeth and her teaching experiences she retired in 2013 to embrace the position of Lay Minister in the parish. Sheryl Southwood has recemtly retired from the position of Director of Music, Trinity Grammar School Preparatory School Strathfield. She graduated as "Student of the Year" with First Class Honours from the Sydney Conservatorium of Music. A strong interest in choral music led to her involvement with the choirs of St James' Church, King Street, the Sydney University Graduate Choir, Christ Church St Laurence and St Paul's, Burwood. She has conducted the Sydney University Graduate Choir and been Acting Choirmaster of St James' King Street and the Cathedral Singers. Until recently, Sheryl was the director of the Mater Chorale. Coordinator Playgroup, B.A., Dip Ed., T.C., FACE. 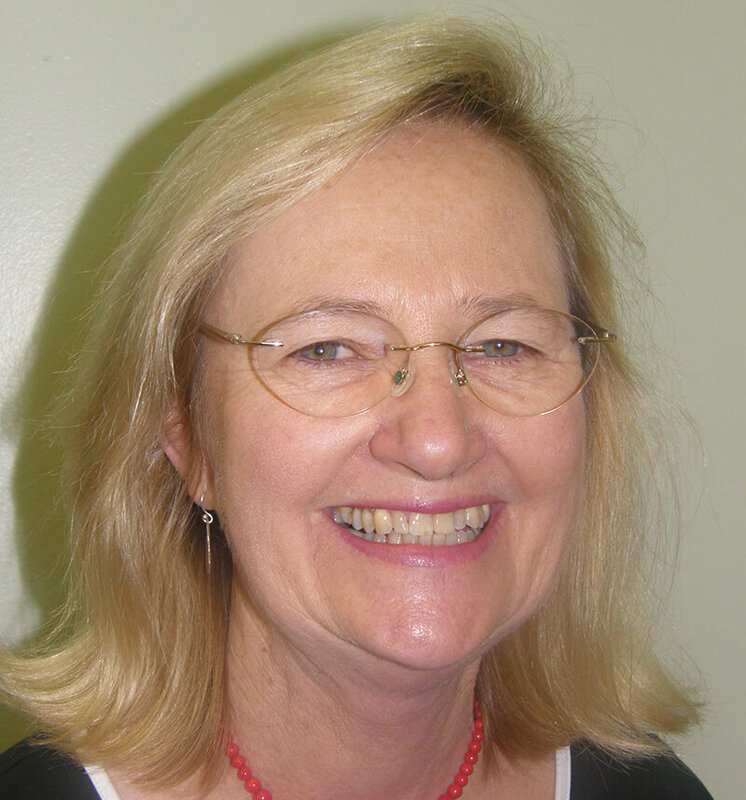 Judith was born in Newcastle NSW and trained as a mathematics teacher at Newcastle University before embarking on a career which saw her teaching mathematics, English and special education classes in both primary and secondary schools across the state and assuming senior leadership roles. In retirement, Judith coordinates St Paul's Monday Playgroup and enjoys buying and arranging the flowers which beautify our church with the help of a small group of very dedicated parishioners. She is also a server at the 8am Sunday service. She enjoys creating the seasonal resource packs for our young people. Graham Norman serves as Sacristan at St Paul's and has done so for many years. Our worship of God at St Paul's consists of classical Anglican liturgy of Word and Sacrament and Graham helps in many ways to ensure that our worship of God remains life-giving, meaningful, and beautiful. Graham had a long career as an educator having held senior positions in New South Wales over a long and greatly appreciated career. One of the wonderful aspects of the worship of God at St Paul's is that people of all ages and backgrounds are welcome especially families and children and Graham oversees the many people who contribute to leading our worship. Graham serves with all of our Ministry Team to ensure that the two great commandments to love God and to love our neighbour are lived out in word and deed.